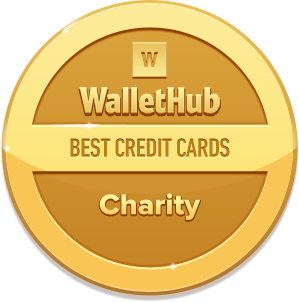 WalletHub makes it easy to find the best charity credit card for you. Charity credit cards donate a percentage of your purchases to a non-profit organization. So they can help you give back to your favorite causes without giving it much thought. But cash back credit cards can d… show moreo pretty much the same thing, with only a bit more effort on your end. And since you don’t want to shortchange your favorite charity for the sake of simplicity, your goal should be to get the best credit card deal overall, however it’s branded. For your convenience, we’ve compiled a list of charity credit cards that are currently available from major issuers (some of which are WalletHub’s partners). They can be used to support the environment, animal rights, public education and many other causes. 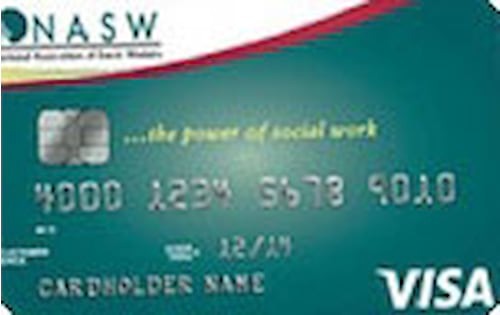 NASW members save an additional 20% when you use your Card to pay for continuing education in the NASW Professional Education and Training Center. Access to toggle® – a free and flexible payment feature that lets you manage your spending like a debit card, with the rewards of a credit card. Earn 3% Cash Back (3 Points) on Ridesharing services, Coffee Shops & Fast Food, 2% Cash Back (2 Points) on Gas and Restaurants. Earn 1 Real Life Rewards point for every $1 spent on all qualifying purchases. Redeem points for a charitable contribution to Stand Up To Cancer or redeem for gift cards, cash, deposits or payments to a Fifth Third Account or a credit card statement credit. Fifth Third will match each reward point redemption for donations to Stand Up To Cancer at the cash equivalent of 10% of the donation amount. 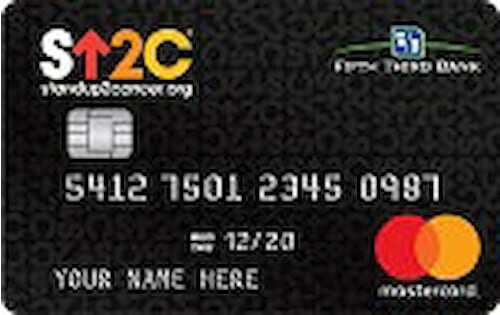 Stand Up To Cancer will receive $5 for every active Stand Up To Cancer® Credit Card each year the card is active and 0.2% per net retail purchase. Mastercard Airport Concierge™ and Mastercard Global Service™ are available. Upload your card and use it to make simple, secure digital payments with Fifth Third Masterpass™, Android Pay®, Apple Pay®, Samsung Pay®, or Microsoft Wallet. Your participation supports humane rescue, adoption and pet-focused outreach, while helping Animal Friends end pet overpopulation, abuse, and unwarranted euthanasia. A percentage of every purchase made on your Animal Friends credit card goes back to Animal Friends. Earn 5 points (equal to 5% back) for each $1.00 spent on Sporting Goods and Gas Purchases. Earn 1 point (equal to 1% back) for each $1.00 spent on all other Net Purchases. A $25 statement credit will be applied to the Account each time 2,500 points are earned. 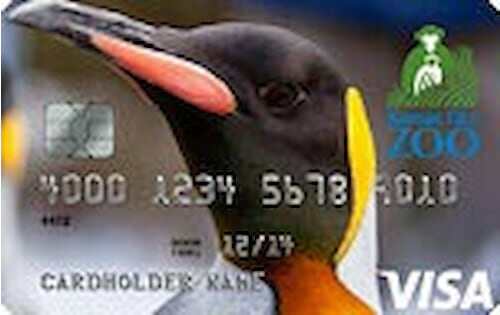 A portion of every purchase you make with this card help fund wetlands conservation. 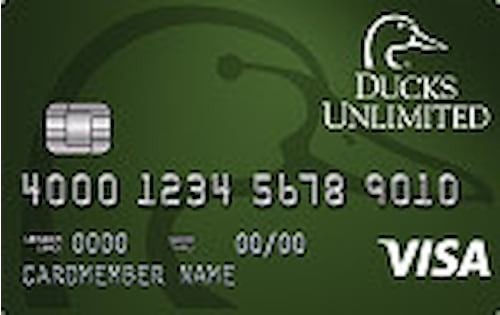 If you apply for the Ducks Unlimited Rewards Platinum Edition® Visa® and meet the eligibility criteria for the Ducks Unlimited Rewards Signature Edition® Visa® your application may be considered for (and upgraded to) the Ducks Unlimited Rewards Signature Edition® Visa®. Earn 3 reward points for every $1 spent at pet stores, veterinary offices, purchases made from American Kennel Club by mail, phone, online at akc.org and at the AKC booth at dog shows. Redeem reward points online for merchandise, gift cards, travel and more. 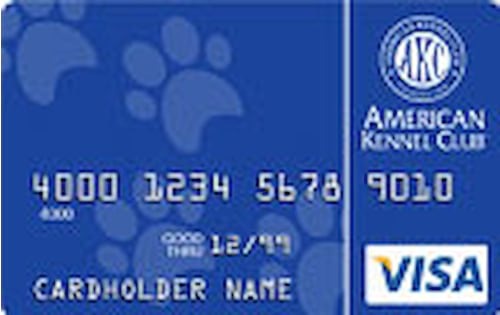 A percentage of net sales on this card will be shared with the AKC. Receive a copy of the book, What Tree is That. 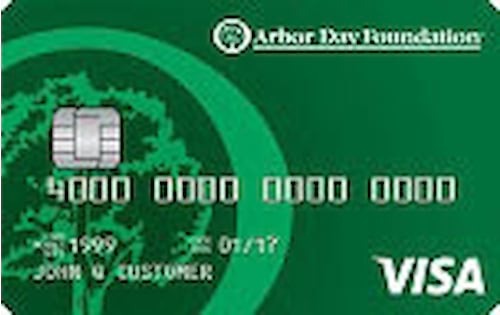 What are the best charity credit cards on the market right now? By: John Kiernan, Credit Card Editor There are two types of charity credit cards: those that automatically donate a portion of all purchases to a given charitable organization and those that indirectly help you give back by maximizing your savings on everyday expenses. Below, you can find our editors’ favorite offers from the first type of charity credit cards. If you want to take donation into your own hands, we recommend one of our editors’ best cash back credit cards, as points and miles aren’t as well suited to the task. *Charity Navigator scores are for the charitable organization each credit card represents. As you can see, charity credit cards typically require at least “good credit” for approval. If you don’t qualify – you can check your credit score for free on WalletHub to find out – we recommend focusing on credit improvement before giving back in earnest. After all, a good credit score will save you hundreds of dollars per year, thus allowing you to donate more without jeopardizing your own financial standing. Furthermore, it’s important to note that money isn’t the only thing you can donate. Try our Charity Calculator to see whether you’re better off giving time or money. I have had the Pink Ribbon Credit Card from MasterCard for about 1 year now.The card is very easy to use and the rewards and bonus you get for signing up are super great. I like that I can save for everyday purchases no matter what. There aren't many things I don't like except two : the interest rate is high and the charity foundation that this card sends money to uses very little of the money for actual research. I use my Animal Friends card for most of my normal, non-business related purchases that I make including: gas, lodging, going out to eat and just general fun/entertainment. Animal Friends has been great towards helping adoption and rescue efforts for a long time now and I have long been an advocate of the cause, so it was very easy to choose this card when the opportunity presented itself. The interest rate is reasonable, although I don't carry much of a balance from month to month as I tend to pay most of it off and the general benefits are great. I highly recommend this card to everyone. 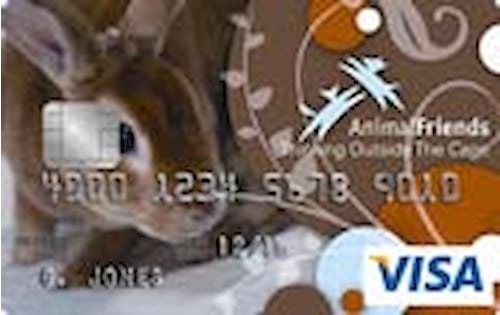 My Animal Friends card is used for day-to-day purchases such as groceries, gas, and entertainment. I enjoy the fact that with Animal Friends, I am helping with animal rescue and adoption efforts. If I could, I would like to be able to pay some household bills with the credit card, but unfortunately there is usually a high fee involved with doing that. My only suggestion for the card company would be to lower the interest rate a bit, but I tend to pay off the balance in full every month, so that is not much of a concern. I use my Pink Ribbon card every so often, in conjunction with my other credit cards. I like to switch off between them, so that every so often I donate to charity with my purchases. I also like to redeem my rewards to my Bank of America account, because of the 10% bonus I receive. If I could change anything about the card, I think it would be nice if I could change the percentage that goes to charity. I use this card mainly for charity purposes so that would be a nice change.